LSU Gameday: Tailgating in the Bayou! 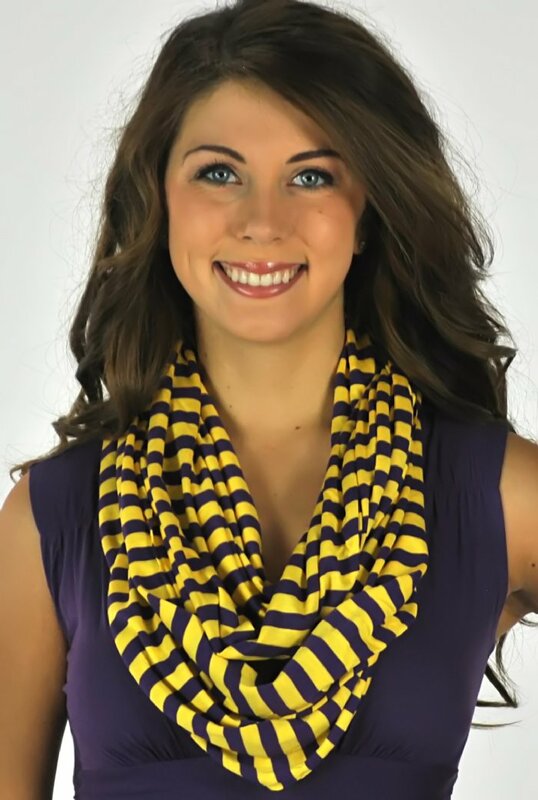 We know how much LSU girls love tailgating in Baton Rouge, so we’ve put together some of the cutest purple and gold game day attire and accessories, all in one spot! Whether you’re headed to a tailgate, alumni event, graduation or sorority event, you’ll turn heads in these adorable outfits! Click here for all of Game Day Allure's purple and gold attire. It only takes one tailgate in Baton Rouge to recognize how passionate LSU Tiger fans are, not only about their football, but also about their tailgate parties...and more specifically, the food served at these parties! With tents full of smokers, full-sized BBQ pits, ice chests, flat-screen TV's, fans, games and menus planned weeks to months in advance, LSU fans provide unbelievable amounts of food and hospitality, even to fans of opposing teams. Entire cookbooks have been dedicated to Cajun-style cooking and tailgate recipes, so we thought we'd share just a few of our favorites! 1. In a shaker, mix vodka and cranberry juice and pour in a glass with ice. 2. 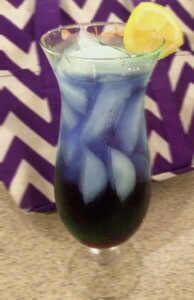 Add raspberry liqueur and blue curacao to glass and fill up with lemon-lime soda. * Add extra cranberry to achieve deep purple color. - With a spatula, combine tuna, mayonnaise, pickles and onions in a mixing bowl until thoroughly blended. Cover and refrigerate 2 hours or overnight. - Spread the relish on crackers (or on a grilled sandwich). - Cook bacon in large pan over medium heat. Remove from pan and set aside. - Add onion and garlic to hot pan. Cook 8 minutes over low heat, stirring occasionally. - Stir in tomatoes, fennel and thyme. Cook 5 minutes. - Add rice, chicken stock, ham and cooked bacon. Mix well and bring to boil. Cover and cook for 15 minutes in oven. (I did not cook this in the oven, I covered the pan, turned down the heat to medium for a gentle simmer, and allowed it to continue simmering on top of the stove). - Add shrimp and peppers to pan. Mix and add hot pepper sauce. - Cover and return to oven (or continue on top of stove), continue cooking for 8 - 10 minutes. The LSU Tiger football team plays its home games at Tiger Stadium in Baton Rouge, Louisiana. Tiger stadium holds 102,321 fans. LSU's stadium is known as Death Valley. The LSU head coach is Les Miles who will be beginning his 11th season at LSU in 2015. LSU holds 3 college football national titles: 1958, 2003, 2007. When you attend a college football game at Death Valley be prepared to enjoy some great food, a spirited game of football and to be called "Tiger Bait." Geaux Tigers!